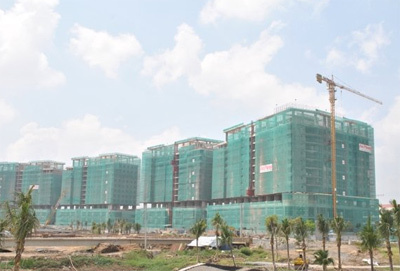 The HCM City Real Estate Association (HOREA) has proposed the State Bank of Vietnam (SBV)'s regulations on lending limits and capital adequacy ratio requirements for credit institutions, including branches of foreign banks not be changed at the moment. The proposal was made after the SBV had released draft amendments to Circular 36/2014 which states that the credit institutions could use 60 percent of their short-term funds to provide medium-and long-term loans and the credit risk ratio of the institutions' receivables from the real estate sector is 150 percent. The draft states that the ratio cap for using short-term funds to provide medium- and long-term loans will be 40 percent, down from the current 60 percent. The credit risk ratio of the institutions' receivables from the real estate sector will rise to 250 percent from 150 percent. The amendment is meant to restrain the liquidity risk and the mass of credit flow into the property sector. However, according to the HOREA, the regulations have been in effect only one year and are having a positive impact on the economy and the growth of the real estate market. The macroeconomy is growing with inflation kept under control, it said. HOREA's proposal said the risk of a real estate bubble this year could be reduced if the State takes effective measures if speculation appears, such as antispeculation taxation, credit tools and other tools related to land and land-usage planning. HOREA expects the ratio cap will be 50 percent, not 60 percent in case the amendment is not delayed. Commercial banks are hoped to take further steps in considering the feasibility of property projects and prestige and mortgages of the investors. Supervision of the lent capital flow should be tightened to ensure effectiveness and safety, the association recommended. HOREA is afraid that those changes may have negative impact on the development of the real estate market, which started bouncing back from its crisis two years ago. The impact could affect property developers, traders and low income end-users../.